BUSINESS Welcome to your 10 Minute Toolkit with tips and tech to save you time. Juggling clients, contractors, quotes, and everything in between - hardworking builders can be short for time, most of the time. 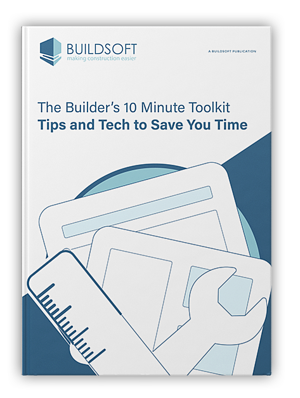 Which is why we wrote The Builder’s 10 Minute Toolkit, to arm you with quick strategies to save time, improve safety and drive productivity on site. Technology to save time on site.